One company has developed a unique way to raise our knowledge and consciousness about our planet and also, each other. 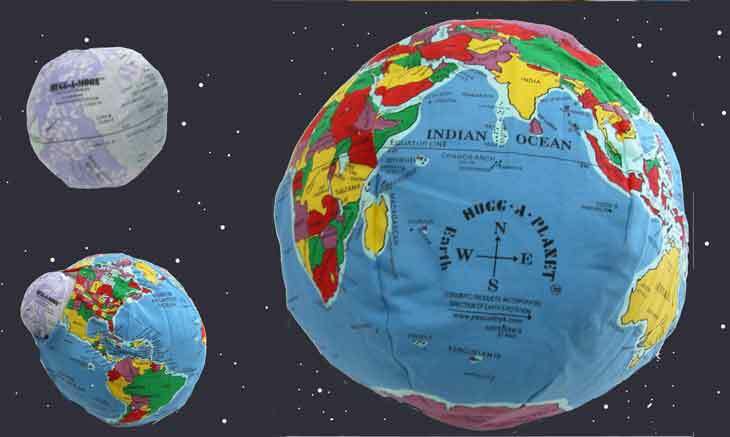 Hugg-a-Planet is a line of cloth globes of varying sizes and contents that can be hugged, studied and tossed – however you see fit! The basic Hugg a Planet (HAP) has the continents labeled, but not the countries or other aspects of the earth. It is ideal for a young child to hug or play catch with and eventually, to study a bit of geography with. Then there is the Classical Political HAP that is like a regular globe, showing countries and territories. There is Hugg-America, pocket HAP, Hugg-a-Moon, Hugg-a-Star, Hugg-a-Mars . . . the full line is quite extensive. The HAP products provide a fun and novel way to learn about the earth and some of the celestial bodies, too, while providing a safe and enjoyable plaything. 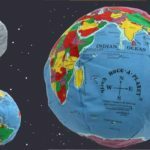 HAP is perfect for the child who learns with action – you can discuss the geographical aspects of the earth while tossing the HAP back and forth. Peace Toys also offers two other organic cotton plush toys – a whale and a teddy bear; both are cuddly and perfect for little hands to squeeze and love! The Morningside Center for Teaching Social Responsibility http://www.morningsidecenter.org/ has even utilized HAP toys for conflict resolution. One peaceful planet starts with one child or one person and a HAP!